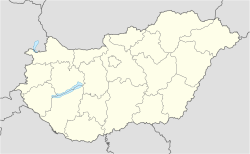 Szeged (Hungarian pronunciation: [ˈsɛɡɛd] ( listen); German: Szegedin; Romanie: Seghedin; Croatie: Segedin; Serbie: Segedin, Сегедин; is the third lairgest ceety o Hungary, the lairgest ceety an regional centre o the Soothren Great Plain an the coonty toun o Csongrád coonty. The Varsity o Szeged is ane o the maist distinguished varsities in Hungary. ↑ "Städtepartnerschaften und Internationales". Büro für Städtepartnerschaften und internationale Beziehungen (in German). Retrieved 2013-07-26. ↑ "Villes jumelées avec la Ville de Nice" (in French). Ville de Nice. Retrieved 2013-06-24. This page wis last eeditit on 6 Apryle 2018, at 06:43.